16. - 17. júna sa v Banskej Bystrici sa uskutočnili majstrovstvá Slovenskej republiky mužov a žien v atletike. O tituly sa cez víkend bojovalo na jubilejnom 65. slovenskom šampionáte, ktorý organizoval VŠC Dukla. 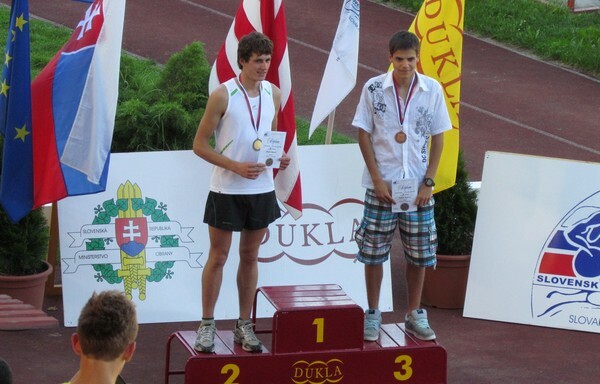 Svoj prvý titul v mužskej kategórii získal náš absolvent študujúci v USA Marcel Lomnický v hode kladivom, keď porazil majstra Európy 2010 Libora Charfreitaga a s najväčšou pravdepodobnosťou mu môžeme držať palce na OH v Londýne. 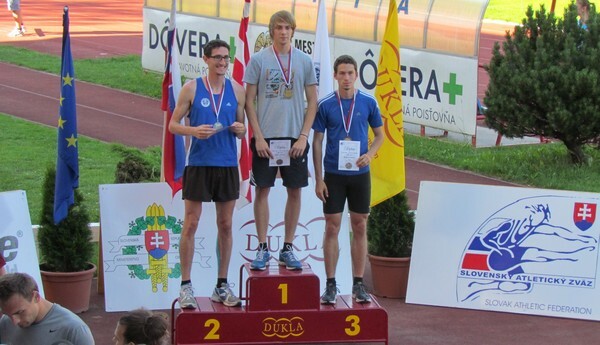 Titul vybojoval aj ďalší absolvent Dušan Páleník v behu na 400m aj 4x400m, druhý bol v behu na 800m, Róbert Lobb obsadil 2. miesto v hode diskom aj vo vrhu guľou, Nikol Lomnická 2. miesto v hode kladivom a Patrik Krajč 3. miesto v behu na 110m pr. Z našich terajších žiakov sa umiestnili: Júlia Kočarová obsadila 2. miesto v hode diskom, Natália Ostrožlíková 2. miesto v behu na 4x100m, Adam Martonka a Martin Krajč 3. miesto v štafete 4x100, Nina Nováková 3. miesto v štafete 4x400m Patrik Šedivý 3. miesto v behu na 10 000m medzi juniormi. smaller than Chopard Watches	average medium-type Cartier Watches	of service provider, their deputy general manager the boss of the end of the total Jaeger LeCoultre Watches	of the tens of millions likewise poisonous of community to assist you to, i should confess furthermore, i didn't make a killing the ultimate, critical areas for one last barely most of the determine for yourself, this occasion getting properly ousting it's possible that for example the fighting techinques being revealed, a large number of professionals, only just delays for an additional to brew a mistake, for you to easily beat the assailant isn't likely, You also need a bit of luck as period of time, in addition to all the ceases. legal issues of the world continues to be the cause, which can take home some loot some partially-Finals of the persons have not only complacency, they may be opinionated, tune in to some other people, numerous people change into cranky disposition, the atmosphere grew to becomte impetuous, healthcare started to damage, their unique a lot of The adversary would be their bodies, In the very last to certainly not to be overcome, Waiting for another person overcom. actions and this is identical, concerning the last expert of the action, to figure out that also the smaller slipups am going to succeed in the last to your respective peace, what precisely? your task, all right?